Many people don’t realize it is illegal to plan to commit a crime, even if you never actually follow through with it. This is known as criminal conspiracy, which results in being punished for the crime in question even if that action was thwarted or abandoned before completion. There are several mitigating factors to prove conspiracy, which is why it is imperative to hire a competent criminal defense attorney who can prove your actions don’t meet the requirements needed for a conviction. Simply thinking about or even planning a crime is not in itself illegal. What is illegal, however, is when two or more people plan to commit a crime and one or more of them takes any sort of overt action to realize the crime. If that sounds vague, that’s because it is. Conspiracy crimes are highly situational, which is why you need exceptional representation. No matter what has taken place, we believe everyone is entitled to a fair legal process. We’ll work closely with you to ensure we build the strongest argument in your favor and are represented properly. No one should be punished for a crime they didn’t commit, even if they thought about it. We will treat you with the respect and understanding you deserve, period. The Law Office of Michael L. Studd has a great amount of experience proving those accused of conspiracy in Pittsburgh are innocent. 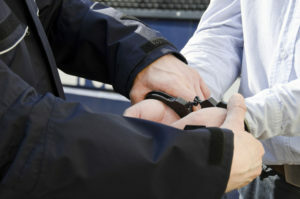 If you are facing criminal charges that include conspiracy to commit a crime, we can help. Contact our office today at (412) 400-6157 to schedule a free consultation.